The move is part of Crown Prince Mohammed bin Salman’s wide-ranging reform drive to modernize the country. 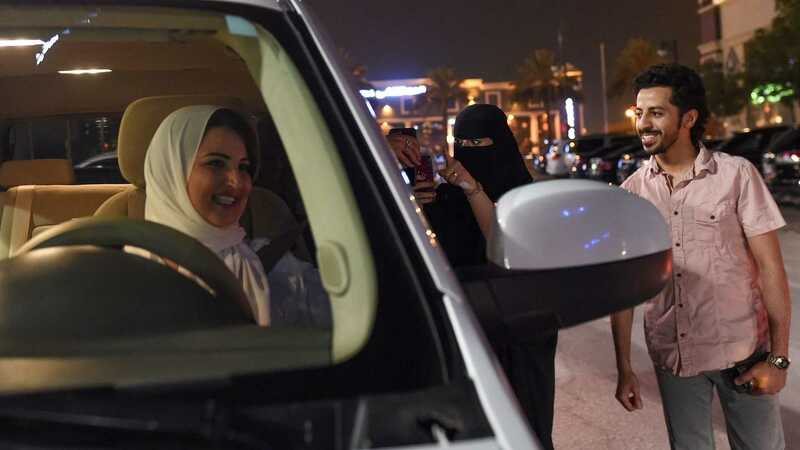 Women in the capital Riyadh and other cities began zipping around streets bathed in amber floodlights soon after the ban was lifted at midnight, some in cars with thumping stereo music. “It is a historic moment for every Saudi woman,” said Sabika al-Dosari, a Saudi television presenter before driving a sedan across the border to the kingdom of Bahrain. The lifting of the decades-long ban is expected to be transformative for many women, freeing them from their dependence on private chauffeurs or male relatives. “This is a great achievement,” billionaire Saudi Prince Al-Waleed bin Talal said as his daughter Reem drove a family SUV, with his granddaughters applauding from the back seat. “Now women have their freedom,” he added in a video posted on Twitter. The kingdom earlier this month began issuing its first driving licenses to women in decades, with some swapping their foreign permits for Saudi ones after undergoing a practical test. Many Saudi women have ebulliently declared plans on social media to drive for coffee or ice cream, an experience a dazzling novelty in the desert kingdom. The move is expected to boost women’s employment, and according to a Bloomberg estimate, add 90 billion US dollars to economic output by 2030. In October 2017 Prince Mohammed pledged a “moderate, open” Saudi Arabia. “We will not spend the next 30 years of our lives dealing with destructive ideas,” he said. In February 2018, the kingdom announced it will invest 64 billion US dollars in boosting its lagging entertainment sector.